Restricted to nutrient-poor tropical waters, coral reefs are a glorious triumph of recycling over poverty. Each reef-building polyp has within its tissues a population of tiny lodgers that trade their photosynthetic talents for room and board. In exchange for their host polyp’s carbon dioxide and nitrogen-containing wastes, the lodgers give up carbohydrates and oxygen. By passing this metabolic currency back and forth repeatedly, both polyp and lodgers are able to thrive. Uncountable millions of living polyps bud from one another, overgrowing the limestone skeletons of their deceased ancestors to form a living, gelatinous carpet. To other creatures, this living carpet offers both food and shelter, enabling the coral reef ecosystem to pull itself up by its proverbial bootstraps. 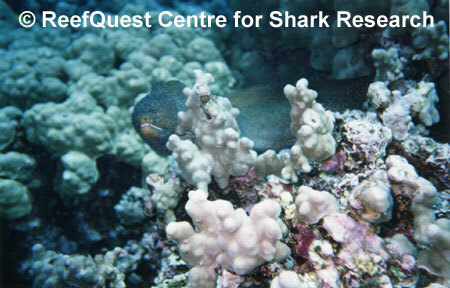 In response, a kind of marine oasis develops, drawing all manner of creatures to make use of the reef’s resources. Stealthy predators creep, crawl, pulsate, slither, and swim in pursuit of cryptic and gaudily patterned prey. The reef architecture itself offers a stony labyrinth of crevices, caves, nooks, and crannies. Everywhere on the coral reef, life thrums with spectacular diversity and abundance. Corals of the reef crest and fore-reef are spiky and massive, sculpted by the ceaseless march of incoming open-ocean waves. Washed by cool, well-oxygenated waters from offshore, the fore-reef is a hotbed of social and predatory activity. Small, jewel-like fishes shimmer and dance, establishing dominance or rapt in the bonds of piscine passion. Large predators skulk nearby, resembling underwater muggers waiting in the shadows for an opportunity to pounce. Powerful surge channels puncture the reef crest, creating high-current areas well suited to small filter feeders and offering safety from all but the strongest of swimming predators. Over the reef crest, the back-reef is vastly different in character. The water is calm and gin-clear, but is also bathtub-warm, reducing its ability to hold dissolved oxygen. The corals are smaller and more delicate than those of the outer reef, offering countless hidey-holes for a bustling constellation of smallish creatures. The back-reef also features vast expanses of coralline sand, pulsing with glaring spiderwebs of underwater sunlight. The sandy reef flat is punctuated by isolated patch reefs and coral heads, each a self-contained universe with the marvelous intricacy of a Victorian dollhouse. These fragments of reef act as tiny fortresses, providing food and shelter for an astonishing diversity of small to tiny creatures. Few of them risk broaching the open spaces between individual coral fortresses, for death lurks here, too — in the form of predators ever-ready to dine on the foolish or careless. With its cornucopia of food and shelter, the coral reef provides homes to an exceptional variety of sharks, each superbly adapted to earn a living in some part of this ghost town turned metropolis.